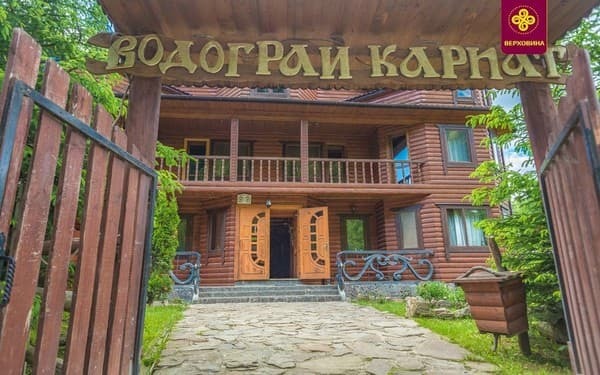 Recreation complex "Vodogray Karpat" is located 2 km from the highway and the center of Verkhovyna. 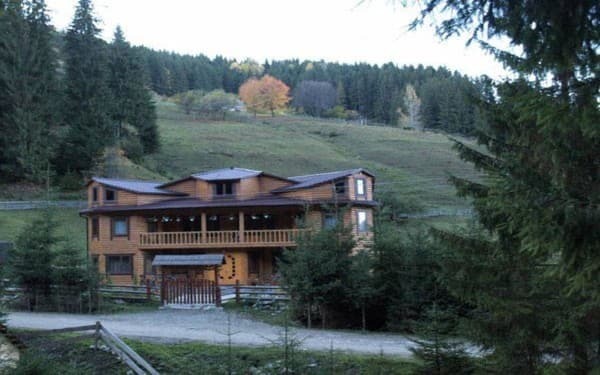 The cottage is under a mountain, near a forest and a river, where you can swim in the summer. 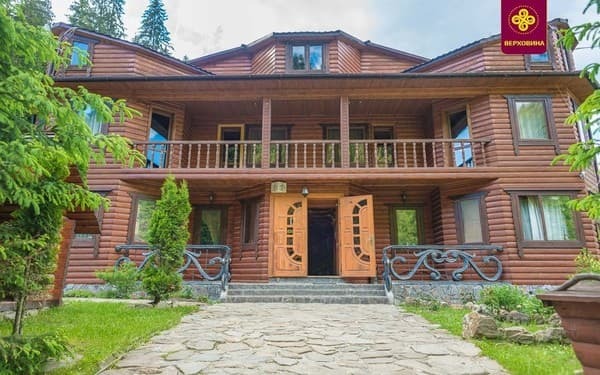 There is a 3-storey cottage for 11 rooms with a unique interior in Hutsul style, a kolyba, a sauna and a wide range of services for a tourist with a demanding taste. 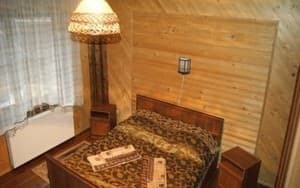 Description of the room: A cozy 1-room suite with everything you need for a pleasant stay: a double bed (in one of the rooms there are 2 single beds), a TV set, a bathroom (WC, shower). Description of the room: Cozy 2-room suite, which has everything you need for comfortable living: double bed, TV, bathroom (toilet, washbasin, shower), common balcony. Additional places - a sofa bed in the living room. 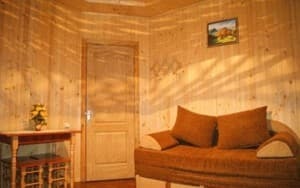 Description of the room: On the ground floor there is a sauna. 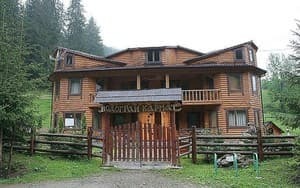 On the second floor - double room (double bed, wardrobe, TV, balcony, extra bed - sofa bed, bathroom - shower, toilet, washbasin); four-bedded room (4 single beds, a wardrobe, a TV, a bathroom - a shower, a toilet, a washbasin). On the possibility of providing an additional place to specify when booking. 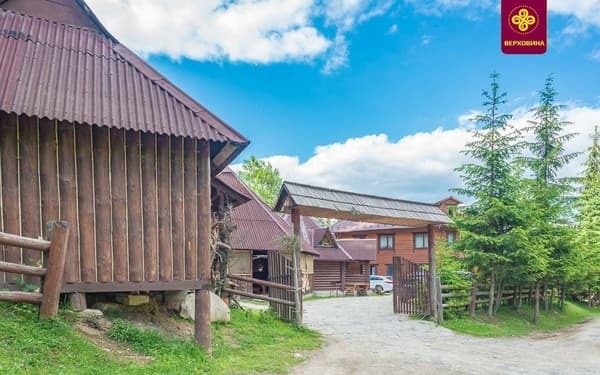 Recreation complex "Vodograi Carpathians" is located 2 km from the highway and the center. To the nearest ski lift - 1,2 km, 55 km - from Bukovel. 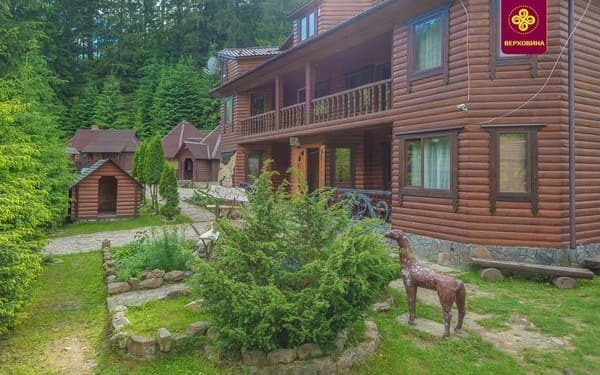 By public transport: to Verkhovyna by bus, shuttle from Ivano-Frankivsk, get off in the center, then - by taxi or arrange with the hosts about the meeting.